Home » Australia » How to get a visa to attend ICC Cricket World Cup 2015? With the introduction of single visa scheme together by Australia and New Zealand, which are hosting the ICC Cricket World Cup 2015, cricket lovers can attend the most awaited tournament by acquiring the special combined visa. The special Cricket World Cup 2015 Visa will allow global cricket fans to enter both the countries on a single visa. New Zealand will accept Australian visas during the tournament. With the inception of this special visa, travelers from all across the globe including South Asian countries like India and Pakistan can apply and pay for only single visa instead of two. Through this special visa, visitors can minimize their time and reduce hassles by undergoing only a single visa process. The details of Cricket World Cup 2015 visa are still under consideration. Australian immigration laws vary regularly. If you are filing an application for Cricket World Cup 2015 Visa, it is important to stay up to date about immigration rules of Australia and New Zealand. How to get Australia Visit Visa ? Check your eligibility for visas online through which you can enter Australia. You may consult a Morevisas travel agent about the process to attain a visa or apply in person at any Australian visa center. Prepare yourself financially to meet all the related costs. Australia and New Zealand have outlined rigorous restrictions on the items which you can carry along with you into the country. So, it is better to check with Australia's Department of Agriculture and Biosecurity New Zealand to ensure that you are not carrying any illegal items with you. If you want to apply, please fill out Our enquiry form. And also, for more updates follow us @ MoreVisas Facebook, Twitter, Google+. 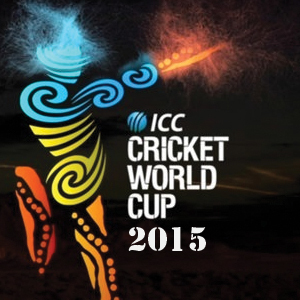 It will be very helpful for those people, who want to go to see the ICC Criclet world cup 2015. If anyone can go for Cricket world cup 2015; He can consult from the Visa's consultancy. Check your eligibility for the online Visa. You may consult through any agent for Visa.